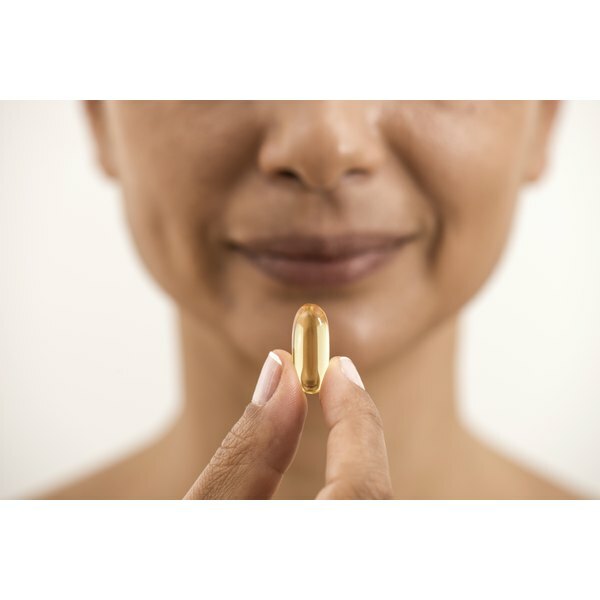 Fish oil has been all the rage in the ever-expanding world of natural supplements for some time now. One type of omega-3 fatty acid supplement, fish oil is generally available in liquid or capsule supplement form and is purported to have numerous health benefits. For example, fish oil seems to improve attention and concentration in certain individuals, which could help with focus in school, although more research is needed. Some research, however, finds fish oil unhelpful for inattentive children. Omega-3 fatty acids, also called essential or polyunsaturated fatty acids, are particular fats that your body requires but cannot make itself. Therefore, you need to obtain omega-3 fatty acids either from including certain foods in your diet or from taking supplements, such as fish oil. According to the University of Maryland Medical Center, omega-3 fatty acids benefit your health by reducing cellular inflammation; lowering your risk of heart disease, cancer and arthritis; supporting a healthy brain; and regulating both cognitive and behavioral functioning. There is currently some limited evidence that omega-3 supplements, such as fish oil, may help improve attention, focus and concentration in particular children with attention deficits. A 2005 study reported in the journal "Pediatrics" found that fatty acid supplementation substantially improved school performance in children with a developmental disorder that affects learning, which implies that the children's ability to focus was enhanced by the intervention. And Dr. Edward Hallowell, a renowned expert in childhood attention deficit hyperactivity disorder, or ADHD, states in a 2008 "New York Times" article that he routinely recommends fish oil for his patients with ADHD, although he notes that fish oil alone cannot cure ADHD. According to the article, parents have reported anecdotal evidence that fish oil has improved their children's attention problems and helped them focus better, even in the absence of solid scientific proof of effectiveness. A 2001 study in "The Journal of Pediatrics" failed to show any improvement in children's attention deficit symptoms after a four-month trial of fatty acids supplementation. In addition, even if fish oil is helpful, there are currently no clear guidelines regarding an appropriate dosage of fish oil for improving focus, attention and concentration, says "The New York Times." If you or your child has difficulty focusing in school or if you have questions or concerns about ADHD -- including ways to treat it -- consult your pediatrician, family doctor or a psychologist or psychiatrist with expertise in this area. Do not take fish oil or give fish oil to your child without first consulting a health professional, as it may cause adverse side effects or drug interactions for some individuals. Follow treatment recommendations for managing attention problems as needed. What Are the Benefits of DHA Vitamins?